Over the past several years, the popularity of social networking sites like Twitter, Facebook, Instagram and Pinterest has exploded. Whether you use the networks in your personal life or not, there’s no excuse for keeping schtum when it comes to your business. Social media can help you boost relationships with your clients, grow your audience, promote your latest products and services and boost brand awareness and authority. But social media isn’t as straight forward as it once was. To find success, you need to work harder than ever before and prove to social media users that you’re worth following. 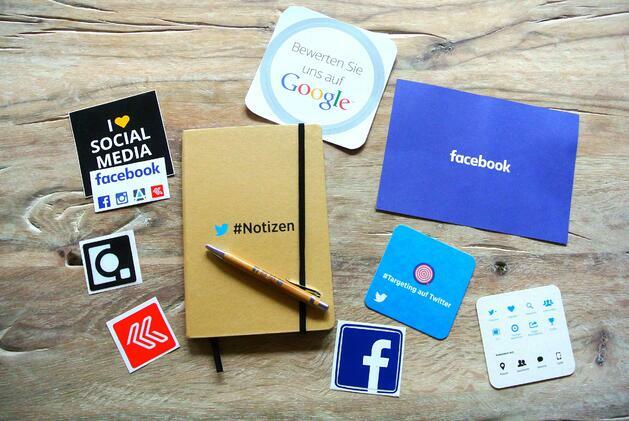 So where should you start, and which social networks should you focus on? Below, we’ve rounded up four social media stats that will change the way you think about social media for your brand. DreamGrow reports that just 25% of Twitter accounts are active – a shockingly-low figure that suggests the platform is filled with bots and dormant accounts. It’s true that Twitter is the social network easiest to automate – not only can you schedule tweets to be posted whenever you want them, but you can follow and unfollow users to inflate your follower count, and you can automatically retweet and like people’s posts, too. What does this mean for your business? It means you’re competing against robots for attention – can you invest the time and energy needed to get your voice heard above the bulk spam and automation? Social media is a great way of going above and beyond and offering exceptional customer service, but did you know that 42% expect a response within the hour? If you can’t monitor your profiles and provide super-quick responses to your customers, then consider cutting down on the number of channels you use, outsource your social media customer service, or make it clear that you don’t offer customer service on these channels and that all comments and questions should be directed to an email address or telephone number. The thing is, social media – particularly messaging apps – is quickly becoming the “preferred” method of customer communication with brands and businesses. Facebook Messenger, for example, has more than 1.2 billion active users – a figure beaten only by WhatsApp. According to statistics from the leading social media platform Facebook, among people who message businesses, 53% say they are more likely to shop with a business they can contact via a chat app. Furthermore, 67% say they will message with businesses more over the next two years. Clearly, social messaging apps are a great opportunity for businesses! In the UK, 34% of adults would prefer to interact with a brand on social media than visit a physical store – and that’s important, especially if you run a bricks and mortar store and don’t have the time to monitor your social media channels every hour or two. How can you overcome this and get people to visit your store rather than vent online? Make your retail store a more compelling offering – adopt customer service tactics from the likes of Lush and Apple, promote the fact you’re a local business and promote this on social media. Back in 2015, an incredible 1.5 million small and medium-sized businesses shared video content on Facebook – and that’s two years ago. Statistics from HubSpot, based on a survey of 4,500 marketing and sales professionals, highlight that 46% of marketers plan to add Facebook video to their content strategy in the next year! There’s no getting away from the fact that video is an essential part of an effective social media strategy, so it’s time that you started creating your own video content to share online. You don’t need to be an expert – just use your smartphone and use filters and smartphone apps to create content. You could also experiment with creating GIFs and other multimedia content like infographics and polls – the more engaging your content is, the more likely you are to gain new followers and fans. Tip #38 Social media is an ever-changing beast. Keeping on top of the latest trends and techniques will help you stand out and make an impression online. Whatever you sell, remember the power of social media – every follower is a potential long-term client or customer.